With more than 1200 Islands, ferries and catamaran are an essential part of the transportation system in Croatia. 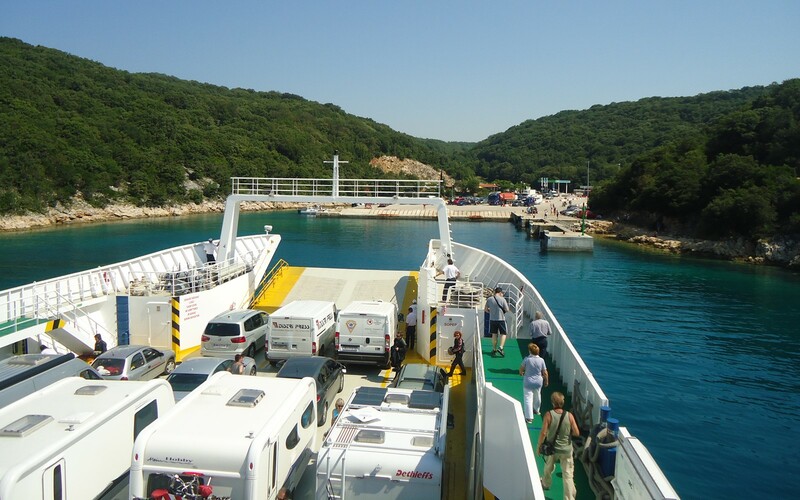 In additional to domestic ferries, to the Croatian Island, there is also several ferry and catamaran connections from Italy to Croatia, majority of these lines only operate during summer season. The ferry and catamaran lines in Croatia are operated by about 15 different companies, the main domestic carrier is the company Jadrolinija, often website refer to this page in relation to ferry schedules, but as mentioned this is just one company out of 15 so you will only find some of the ferry routes and timetables on their page, which is reason why we have made www.ferrycroatia.com, here you find ALL ferry timetable, regardless of carrier. Buying and booking ferry tickets in Croatia. Although there are a few exceptions, the general rule is that International ferry and catamaran departures can be booked online well ahead, for the domestic car ferry lines is it meanwhile also possible to book and reserve tickets on some routes. Alternative to buying ticket online is to go to the ferry terminal / ticket agent which you will find in each ferry port. Why is it not possible to buy a ticket for a specific domestic car ferry? The main reason why you can not buy a ticket for a specific departure online, is the infrastructure of the ferry ports (Especially the ones on the islands). During summer season the ports are often full, and the line of car continue on public roads, which makes very complicated if not impossible to use any other system then the “first in” – “first out” principle. Majority of the international ferries only sail during summer season, which is usually defined as from 1st of May to 30th of September. The most domestic ferry routes normally (do not apply to all ferry companies) have timetable divided into the following three “seasons”. Main Season – 1st of July to 31 of August. Pre-and after Season. 1st of June to – 30th of June and 1st of September to 30th of September. Out of Season – 1st of October to 31st of May the following year. Under our detailed route descriptions below you will find all information about specific routes.